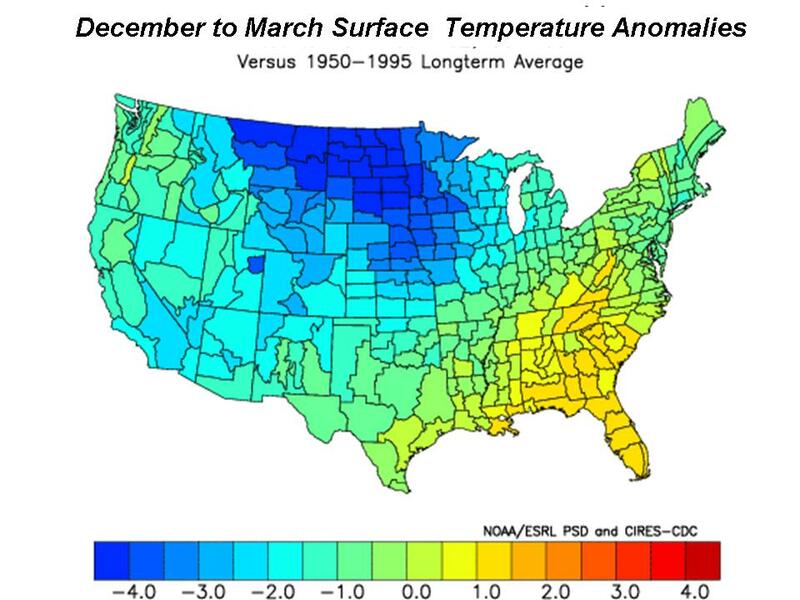 The 2008 annual temperature for the contiguous United States was near average, while the temperature for December was below the long-term average, based on records dating back to 1895, according to a preliminary analysis by scientists at NOAA’s National Climatic Data Center in Asheville, N.C..The Central and Southern regions experienced below-average temperatures, while above-average temperatures were felt in the West, Southwest and Northeast. This resulted in a near average annual temperature for the contiguous U.S. and the coolest annual temperature since 1997. 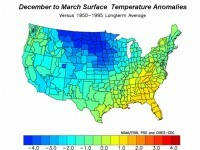 The average December 2008 temperature of 32.5 degrees F was 0.9 degree below the 20th Century average. December temperatures were much below average across the Upper Midwest and cooler than average across much of the West, Northwest and Midwest. Warmer-than- average temperatures were experienced in the Southeast and Mid-Atlantic States. The East North Central region (Iowa, Michigan, Minnesota, and Wisconsin) had its 10th coolest December on record. Respectively, Minnesota and North Dakota had their seventh and eighth coolest December. Compare this to the October forecast we made for the winter based on a weak La Nina, low solar, a cold Pacific and the other factors at play. We are off to a good start and with this January cold, it should stay on target at least through this month.